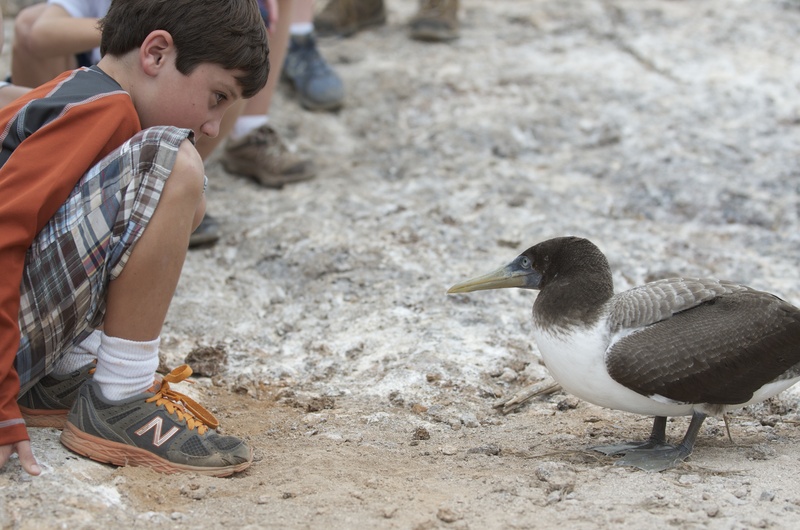 In the Galapagos, Luke and a Nazca booby take a moment to appreciate each others’ unique and meaningful existence. Like many people these days, I practice yoga. My journey began a little over four years ago and, even in the times that I don’t practice regularly, I find it is always with me. Yoga is a hard thing to explain to those who haven’t yet experienced it. Before I practiced, people who knew me well would tell me that I needed it. I resented that statement, but mostly I resembled it. I moved from one thing to the next without stopping to be present in my own life. I didn’t know how to sit in stillness or look around in awareness. A hamster on a perpetual wheel, I rarely paused to notice or enjoy anything. I was too busy looking ahead to see the little moments slipping by in my peripheral vision. In vinyasa yoga, you flow through the different postures syncing one breath to one movement in a moving meditation. You breathe in to settle into one pose and breathe out to transition into another, consciously aware of each inhalation and exhalation. So when I found this quote in my Bunny Buddhism book, I knew exactly what it was for. It is a mantra for meditation. Breathing in, I know I am a bunny. Breathing out, I know a bunny is all I have to be. In my late thirties, I was somewhat depressed. Not in that can’t-get-out-of-bed-and-need-Zoloft way, but in the way that I was unhappy without being awake enough to realize it. I had young children who had boundless energy and myriad personal struggles and I didn’t have a clue how to help them settle and grow. 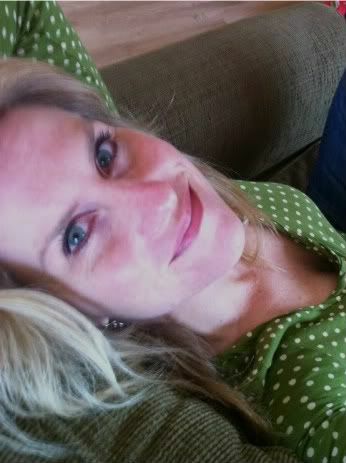 I was continually exhausted, surviving on caffeine and mindless, reality television. I was stalled out. When my early forties hit, midlife began urging me to shake off my slump and make something out of my life. This was both a good thing (because I began to wake up and seek out life-affirming events, which made me buck up a little) and a bad thing (because in seeking out new experiences I managed to remain too busy to truly enjoy anything). That was when yoga found me. I began to understand that I didn’t have to become anything to prove anything. Through yoga, I began accepting that there are things that I am good at and things that I will never be good at. It doesn’t matter. It’s part of the uniqueness that is me, and it is enough. That thought continues to blow my mind. I am enough. Period. If I finish the book I’ve been writing in my head for years, great. If not, that’s fine too. I’m exactly where I need to be, being the person I am becoming. At the end of my life, a full and well-rounded curriculum vitae will say everything about what I accomplished but nothing about who I was because we are not the sum total of what we do. Good thing too because on most days what I do is laundry. Breathing in. I know I am a bunny. Breathing out. I know a bunny is all I have to be. Can you let go of what you think you need to do to be important and accept that you already are?